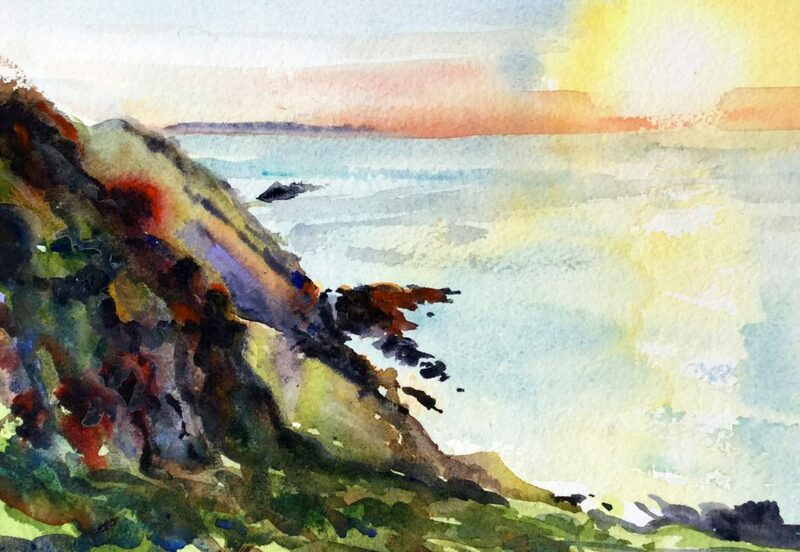 Steven Pleydell Pearce Fine Art Morte Point Sunset - Watercolour Painting by Woolacombe artist Steve PP. So still and calm painting out on Morte Point. Stunning sunset slowly slipping into the ocean as seabirds gracefully glided by the cliffs on warm winds. Watch the plein air painting demo here. 10 x 8 / 14 x 10" x / 22 x 15 / 28 x 22 / 12 x 9"